Yes, who would have thought the newest addition to my glam make up routine would be a foundation from a high street fashion store? I stumbled across New Look's make up display and I have to admit I was blown away! From covering everything from nails and brows to foundations and blushers - It seemed that the counter had the potential of becoming the one stop shop for a full face of make up! One product that specifically caught my eye was New Look's NO SHINE - Mattifying Foundation. Ok, so you know the word Mattifying pulls me in, hook, line and sinker because of my naturally, overly oily T-Zone. Starting off with the packaging of this product - The foundation is packed in a frosted glass-like container with a square plastic lid - Somewhat similar to that of NARS Luminous foundation. I am particularly happy that the foundation comes with a pump - which even some high end foundations don't include. Overall, the packing is fit for purpose and whilst being nothing amazing, it's perfect for the price tag attached to it. The liquid foundation itself is medium coverage but definitely buildable for fuller coverage. 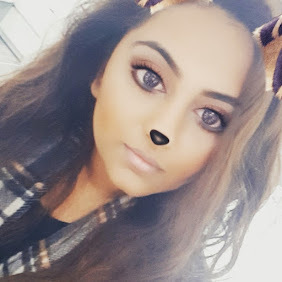 I found the coverage was perfect for everyday wear, giving a more natural look whilst evening my skin tone. As for mattifying? The mattifying effect wasn't strong enough for me to leave my translucent powder at home for the day - but I was so impressed that it was only after around 6-7 hours of wear that I found the need to lightly "powder my nose". Moving on to another reason the New Look foundation has won my heart - is the fact that it has to be one of the foundations that has been the best match for me. When swatching the foundation shades in store I was expecting for the colours to be either ashy or with a red untone but surprisingly the colour was the right tone with the perfect amount of warmth for me. I found the perfect shade - Rich Tan. 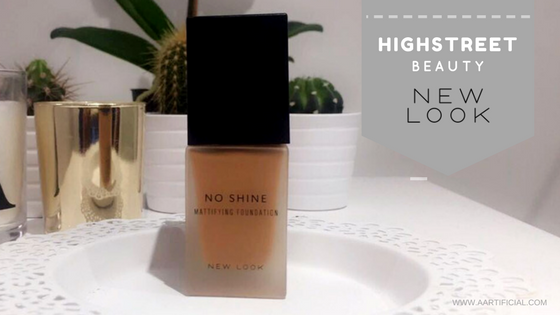 Overall, New Look's No Shine foundation is one of the biggest hidden gems on the highstreet. For £7.99 for 32ml you honestly can't go wrong! You may have the same questionable doubts that many of my friends have had when I've recommended it to them but I cannot stress how amazing this foundation applies, blends and adds the perfect day to day base. AND RIGHT NOW YOU CAN PICK UP THIS GEM - BUY 1 GET 1 FREE! Have you tried anything else from New Look's beauty range? What are your hidden gems?